Along a hiking trail at Tassajara in May of this year. Photo by Shundo David Haye. 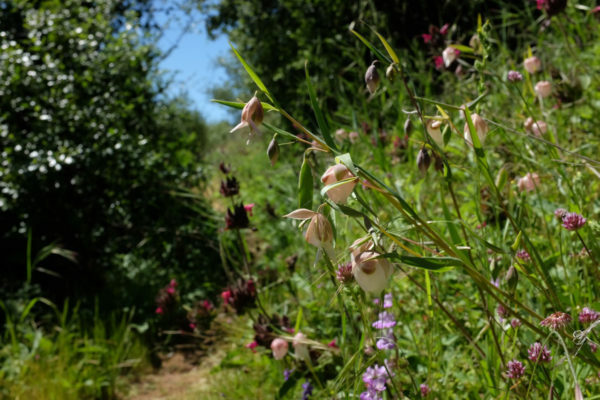 The wildflowers in the foreground are fairy lanterns, a Californian species in the genus Calochortus, the Lily family. They are magical, especially the first time you come upon them, and then again the next time, and so on. Thinking of Tassajara and the surrounding mountains, trails, trees, flowers, and creeks. What will Spring be like in 2017?